There are lots of ways to examine the history of an educational institution: curriculum, students, faculty and administration, physical presence. As a professor and incoming chair, I could certainly write quite a bit about the academic constituents, perhaps too much, so for my back-to-school post I’m going for the more accessible, and certainly the more visual, sign of institutional evolution: architecture. The evolution of Salem State University, where I have been teaching for quite some time, has been inextricably tied to the parallel development of the city of Salem since its foundation in 1854. The piecemeal construction of the Salem State campus has, for the most part, been a story of onward expansion, tempered with adaptation and accommodation. At least so far. Salem State’s institutional history is easily divided into four different academic eras. 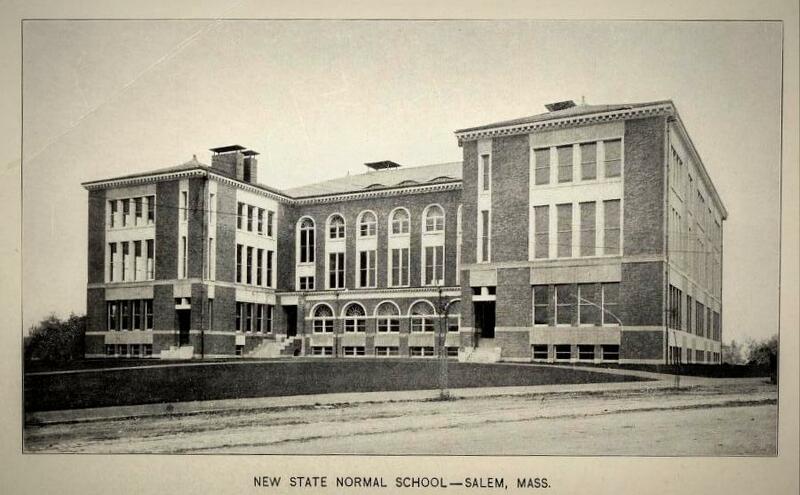 It was founded as a teacher-training “Normal” school (normal referencing professional standards) for women in 1854, the tenth in the nation, and remained “Salem Normal School” or the “Normal School at Salem” until 1932 even after it began admitting men and extending and expanding its curriculum. It was Salem Teachers College from 1932 until 1960, after which it was briefly named the State College at Salem, Salem State College (1968-2010), and finally Salem State University. 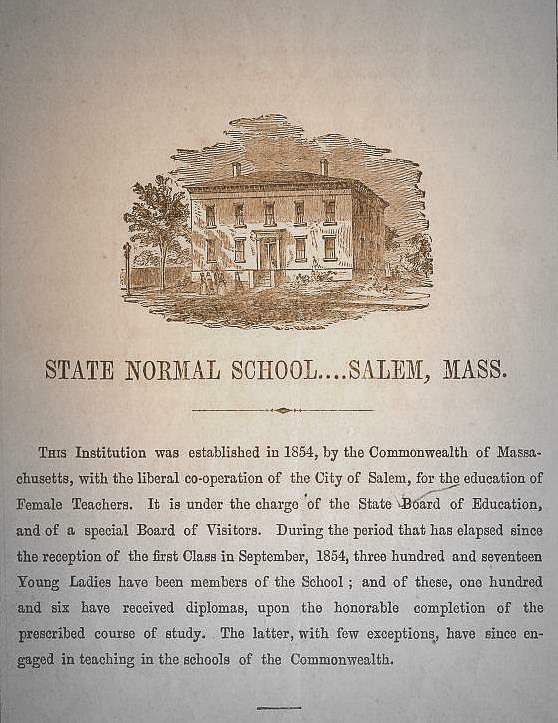 A key factor in the school’s founding was the financing (and lobbying) provided by the city of Salem, along with the Eastern Railroad and the Commonwealth of Massachusetts: from the very beginning, the interests of city and college were linked. 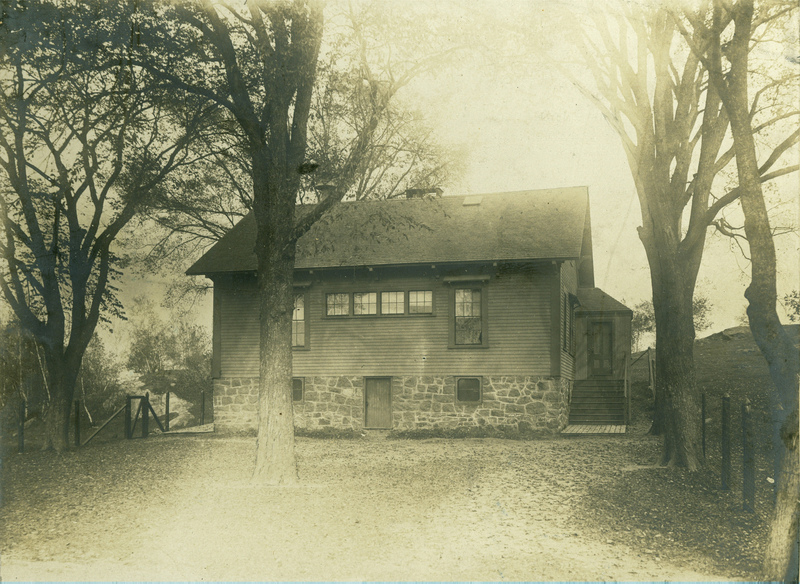 This first set of images below are all from the Normal School era (1854-1932). For the first fifty years of the school’s existence, its one and only building was located on Broad Street, just behind where I live now. 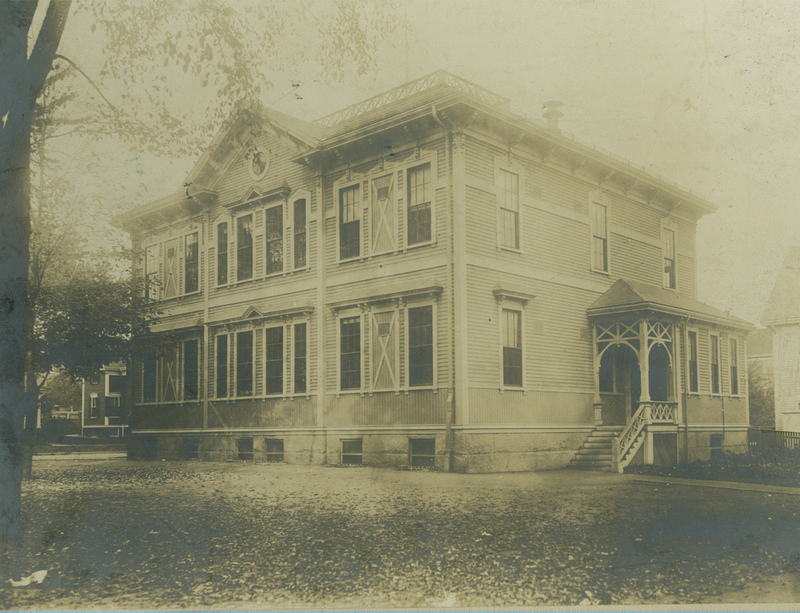 The foundation building was adapted and expanded in the 1870s to accommodate a larger influx of students, and then an entirely new building, with adjacent “campus” was built in the early 1890s in South Salem. 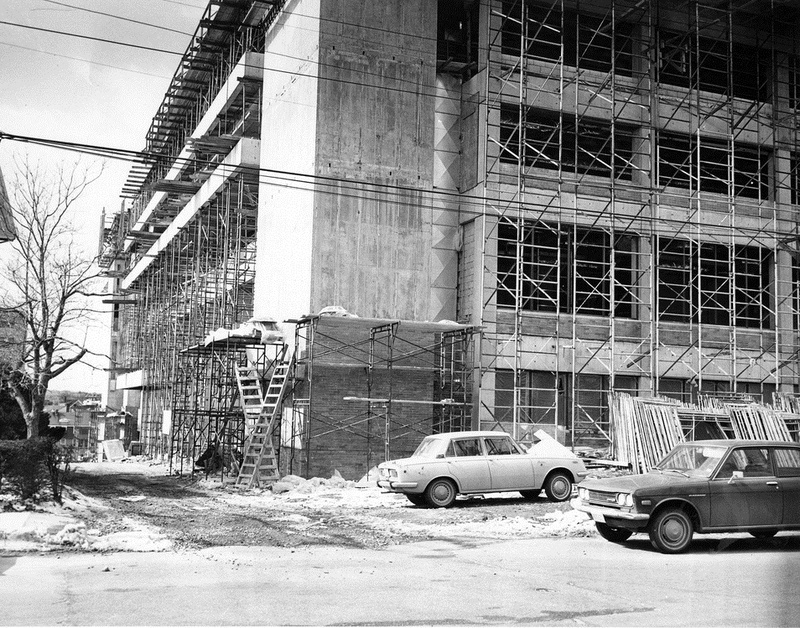 The Sullivan Building remains the center of what is now referred to as the North Campus, and its (I think unfortunate) ginger brick facade set the tone for the development of the college over the next half century or so. The situation of Sullivan is rather commanding: at the head of Lafayette Street looking back and down towards the center of Salem. 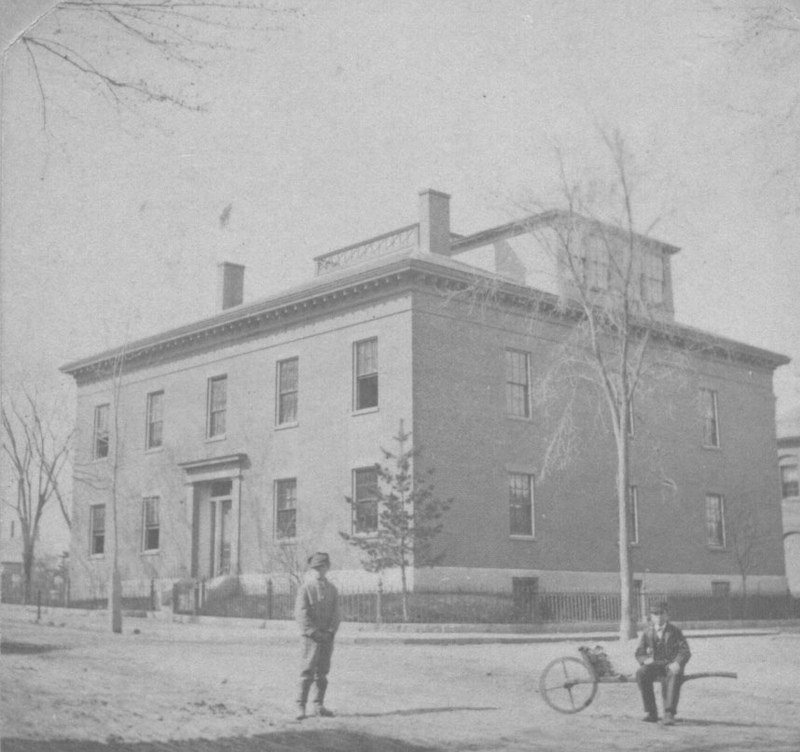 The State Normal School at Salem from the 1858, 1880, and 1900 Catalogs of the Instructors and Students in the State Normal School, Salem, Massachusetts; One Broad Street (Condominiums) today; 1865 photograph of the Broad Street building, Salem State University Archives Flikr. Images of the new campus on Lafayette Street from the first few decades of the twentieth century portray a barren-then- bucolic setting, a bit less integrated with the city, especially after the great Salem Fire of 1914. 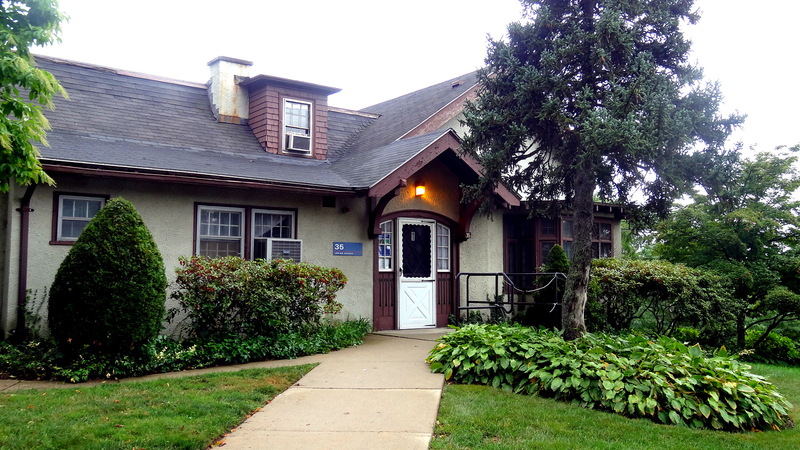 The school’s main form of outreach was its students, and to facilitate its primary mission of teacher education several training schools were built, on Willow Avenue a few blocks away, in Marblehead (for “rural training”), and finally the new training school adjacent to the Sullivan Building on Loring Avenue, named after education advocate (and Nathaniel Hawthorne’s brother-in-law) Horace Mann. 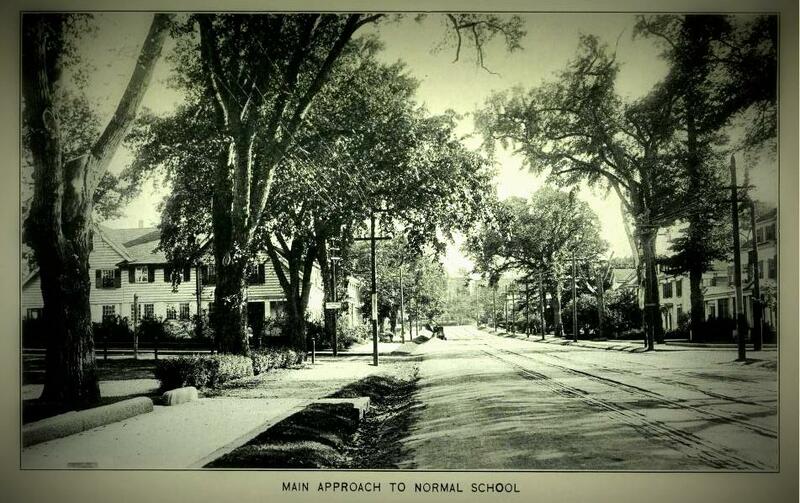 Lafayette Street with the Sullivan Building in the distance and the campus behind, from the 1920-21 Salem Normal School Catalog; the Bertram School on Willow Avenue, the Farm School in Marblehead, and images of the construction and completion of the Horace Mann Training School, Salem State University Archives Flikr. 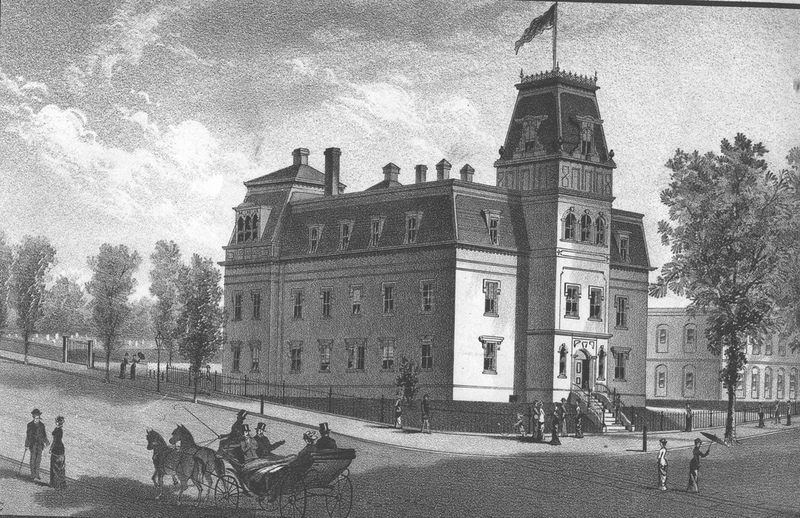 The Horace Mann school, then called a training school and later a “laboratory school”, remains a Salem public school, probably the best and most continuous example of the partnership between the city and the university. Teaching right next door in the Sullivan Building, I have long been accustomed to hearing the gleeful sounds of children playing on the adjacent playground during their recess. Space is a bit tight though, and now there are discussions of moving the school to another location. 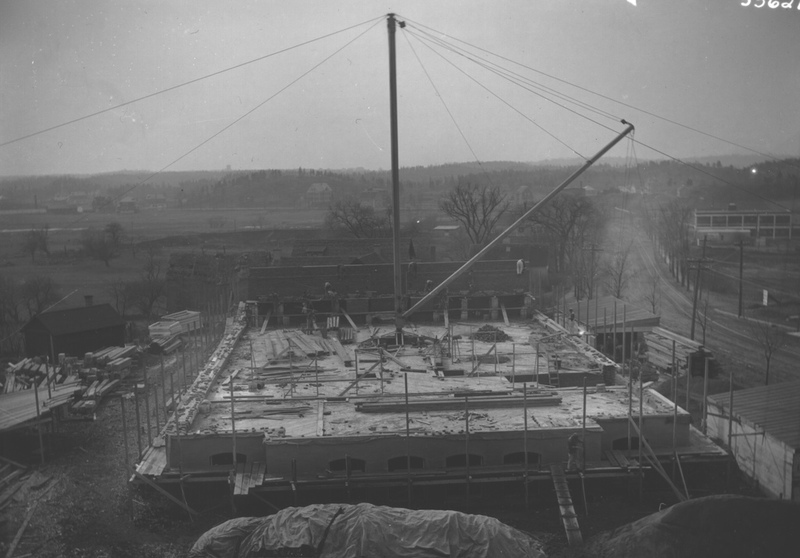 The next-to-last picture above, of the construction of the Horace Mann School in 1913, is particularly striking because it forecasts what is going to come over the next century: all that space you see in the distance is going to be filled in with buildings: residences, college buildings, factories, and then more university buildings. In terms of space, the Salem Teachers’ College (1932-68) and Salem State College (1968-2010) eras are indeed characterized by the filling in of the main (North) campus (largely with square, uninspired, mid-century modern buildings made of orange brick) and the acquisition of additional, non-adjacent space for new construction and/or adaptive re-use. 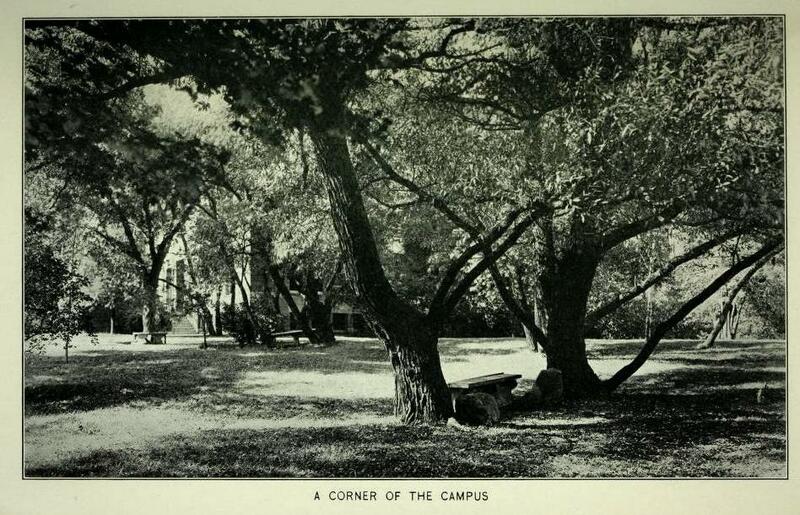 As the college’s curriculum became more comprehensive, its demand for physical space became more expansive, but open land was limited because of the coincidental development of its South Salem neighborhood. 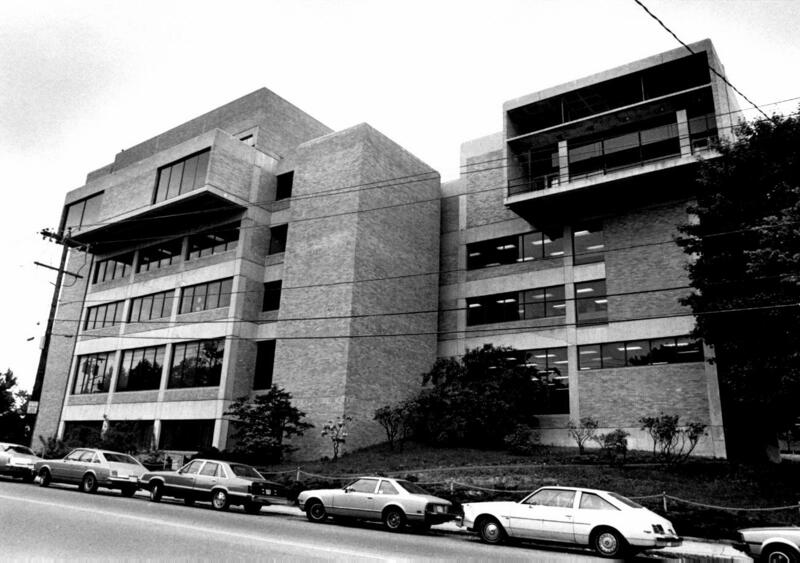 On the main campus, probably the most spectacular construction project became an equally spectacular failure: the massive Brutalist cantilevered library which opened in 1974 and closed in 2007. Scaffolding has surrounded the building ever since, and as our adjacent new library opens today the old one is coming down, piece by piece. Libraries at Salem State: the Sullivan Building library in the 1920s, the construction of the Lafayette Street library in 1971 (which reminds me of its DESTRUCTION now) and the completed building in the 1970s, Salem State University Flikr; the new Berry Library and Learning Commons, opening on September 3, 2013. 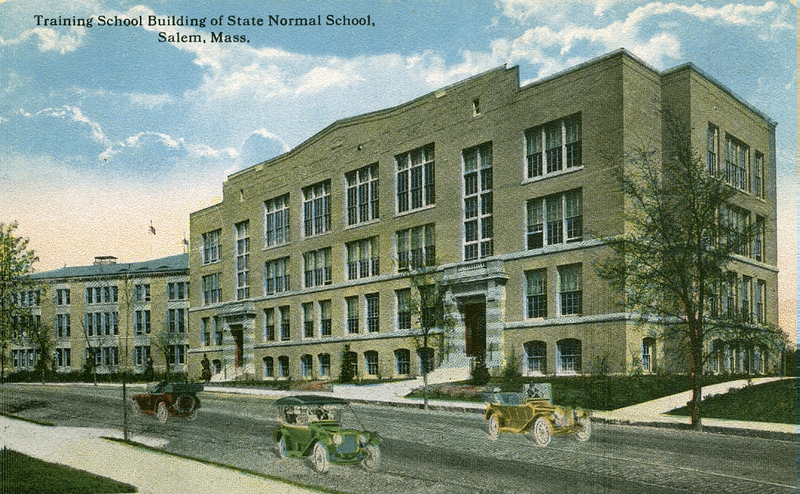 The two major expansion initiatives of the later twentieth century are illustrative of how Salem State’s interests intersected with those of the City of Salem, and they are also great examples of adaptive re-use. 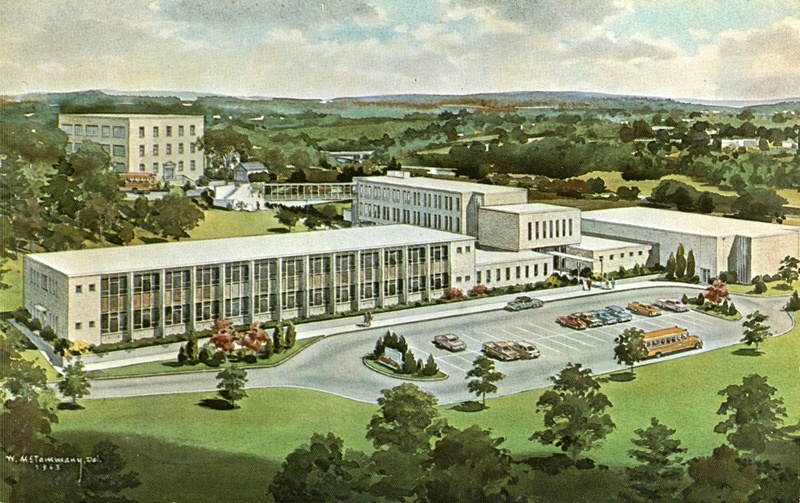 In the early 1970s, the college acquired the former campus of Ste. 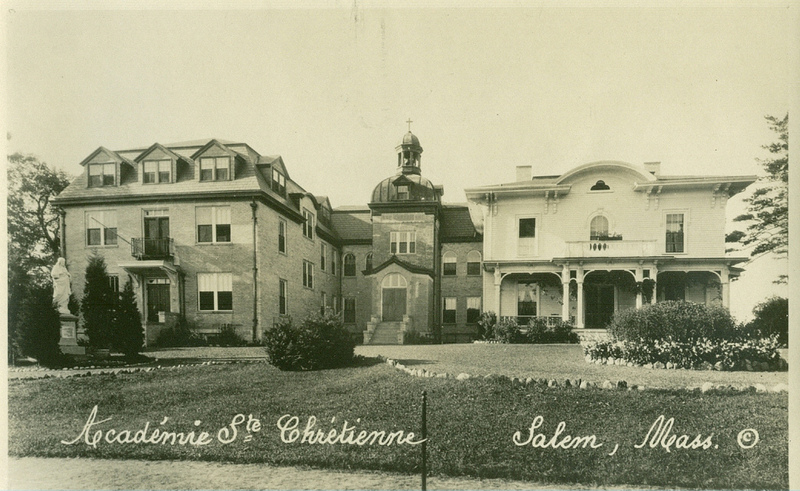 Chretienne’s Academy (1918-71), a parochial school for girls, which was quickly transformed into the South Campus. 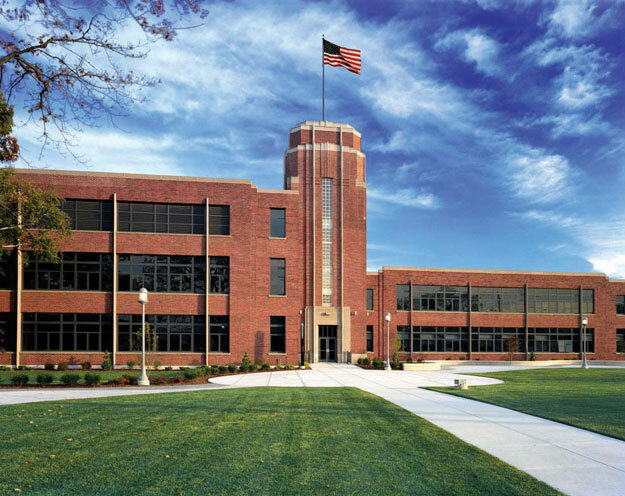 A quarter center later, the GTE-Sylvania lighting factory, which employed hundreds of workers during its heyday (1936-1989), was converted into the Central Campus. For the most part, these changes seem to have been well-received by the surrounding neighborhoods, though the construction of residence halls on both new campuses definitely caused some ripples in the relationship between town and gown (and will no doubt continue to do so), along with continuous traffic and parking concerns. Postcards of Académie Ste. 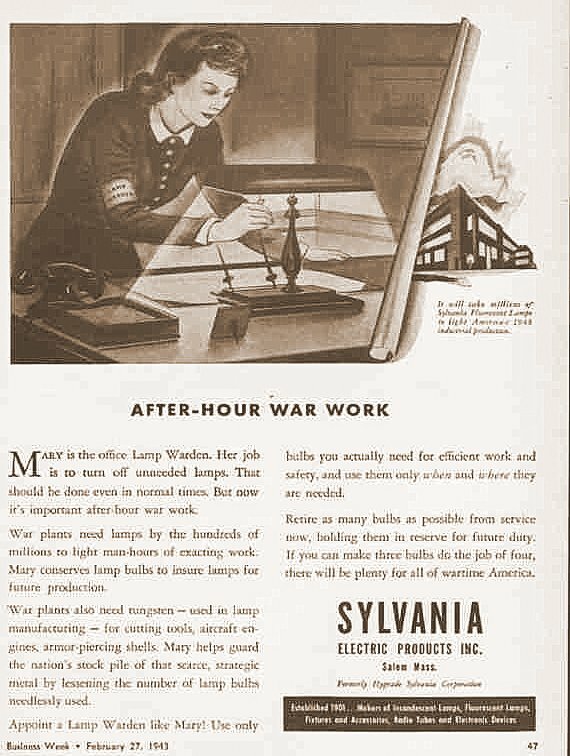 Chrétienne from the 1930s and 1963, before it became the SSU South Campus (Salem State University Archives Flikr); an advertisement from Business Week (February 27, 1943) featuring the Salem Sylvania plant, and after its transformation into the SSU Central Campus. There are plans for more expansion on the immediate horizon, including a badly-needed parking garage and another residential hall. Looking back on the past 150 years of institutional construction, Salem State seems to have handled the big projects well (with the exception of that brutal library and in spite of all that orange brick) but I hope that the smaller structures will not be forsaken in the inevitable march of progress. Several years ago, I was distressed to see one of the (then-college’s) little administrative bungalows swept away–in the space of a few days—to widen an access road. Its surviving mate remains, but is looking vulnerable. 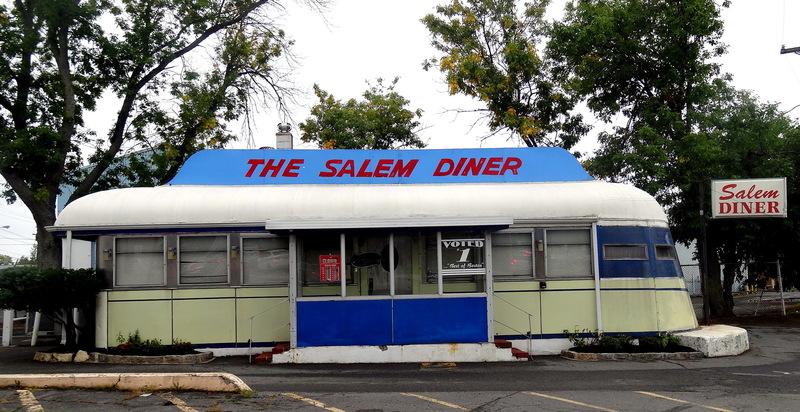 And I think everyone, both on campus and in greater Salem, is wondering what is going to happen to the university’s latest acquisition: the venerable Salem Diner. Still Standing on Loring: a craftsman cottage and the Salem Diner. APPENDIX: In the History Department at SSU, we try to look a local developments in a global context. While I was looking around for some interesting and unusual images from the Normal School era, I came across a photograph of the inscription below taken by Jo De Baerdemaeker, a typographical scholar and designer based at the University of Reading. 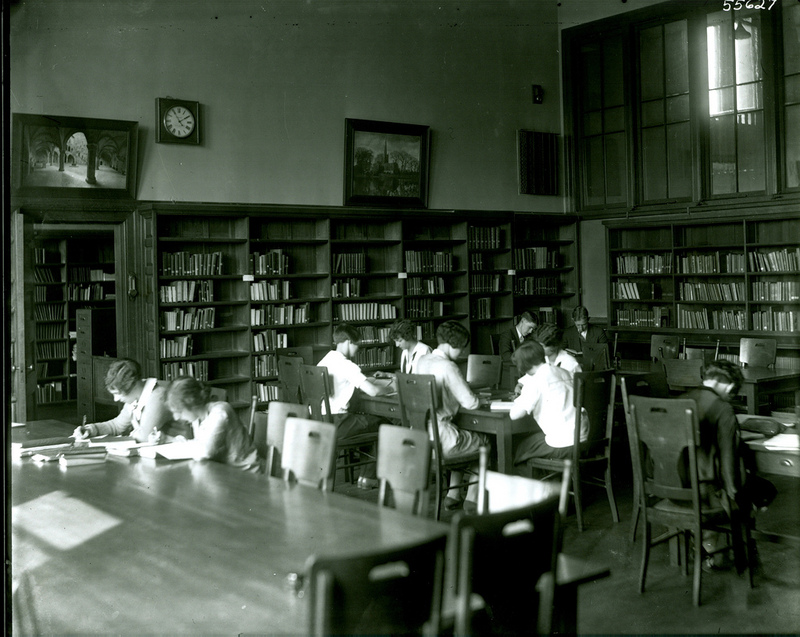 The Salem Normal School was one of many American educational institutions that contributed funds towards the rebuilding of the historic library at the Catholic University of Leuven, which was ravaged by German troops occupying Belgium during World War One. The new library, designed by the American architects Warren and Wetmore and also bearing the more strident inscription Furore Teutonico Diruta: Dono Americano Restituta (“Destroyed by German fury, restored by American generosity”) on its facade, sustained serious damage again in 1940 and was rebuilt after the war. Photograph by Jo De Baerdemaeker; you can see more lettering and examples of his work here. This entry was posted on Tuesday, September 3rd, 2013 at 6:15 am	and tagged with Architecture, Archives, ephemera, Photographs, Salem State University and posted in History, Salem. You can follow any responses to this entry through the RSS 2.0 feed. I think I’ll get my modern US students to read this. Thanks, Donna. I don’t know; it’s kind of dry–but I love the Leuven connection–I’m going to follow up on that. I recall one of my dissertation committee members, an anthropologist, noting that public college and university buildings strongly resemble prisons in their architecture. His explanation was that, because they are funded by taxpayers, state institutions must look spartan, not comfortable, for the latter would imply luxury and waste of the taxpayers’ money. Very interesting, Brian. I could have been a bit more comparative here. When I was looking around for more normal schools, there was definitely a standardization of the architecture: many of the buildings reminded me of my earlier asylum post! Certainly these are very strong, solid buildings! Getting back to your post, I note that most of the pictures of buildings are bereft of people actually using them. I suppose it’s a lot easier to capture beauty of form (if any) than beauty of function in a still photograph. 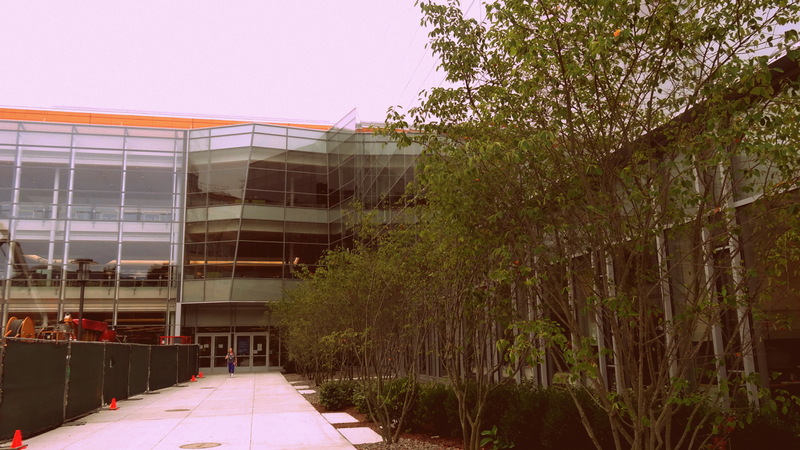 I think that the UMass library and the (old–partially demolished) SSU library are from the same unfortunate DCAM era. I like your posts for their historical value, but I sometimes feel like an idiot among scholars. No worries–it’s a blog not a journal! I loved this blog post. I haven’t really explored that part of Salem in years and years. 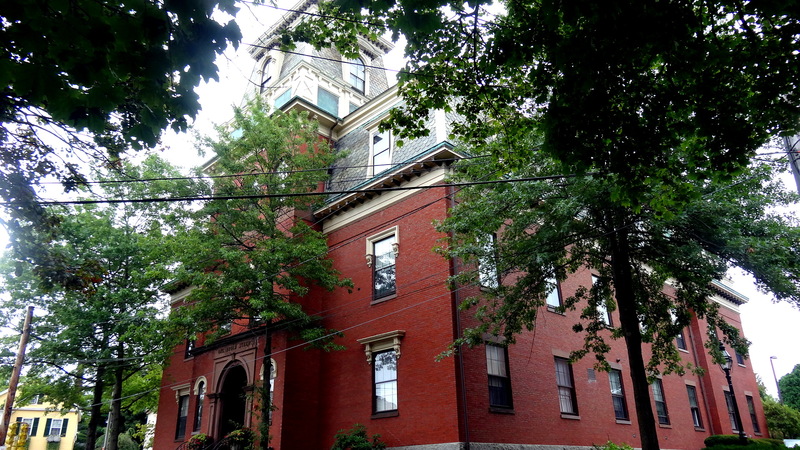 My great great grandfather was a music professor in Salem, and the family lived on Loring Avenue. I wonder if the house is still there. I’ve looked up the house number on census records from the 1880s and early 1900s. I think I’ll be doing a road trip soon to check it all out! Thanks Heather–if you give me the address I’ll take a picture if the house is still there—and it probably is: the side of Loring Avenue that fronts the university features lovely old homes–they are in a busy location, certainly, but still very nice. In the 1900, 1910, and 1920 census they lived at 4 Loring Avenue. and cousins lived at 330 and 368 Lafayette, which I was told was very nearby. Only my great great grandfather was a professor at the “Normal School”, the other great uncles ran a shoe factory somewhere else in Salem. I’ll check them out and get back to you, Heather. What was your great-great-grandfather’s name? I’ll look him up. He was Professor Caleb Rand BILL. He had a music school at some point, and was also a music teacher in the Beverly public schools before he went to Salem. The other relatives on Loring Avenue were WILKINSON.